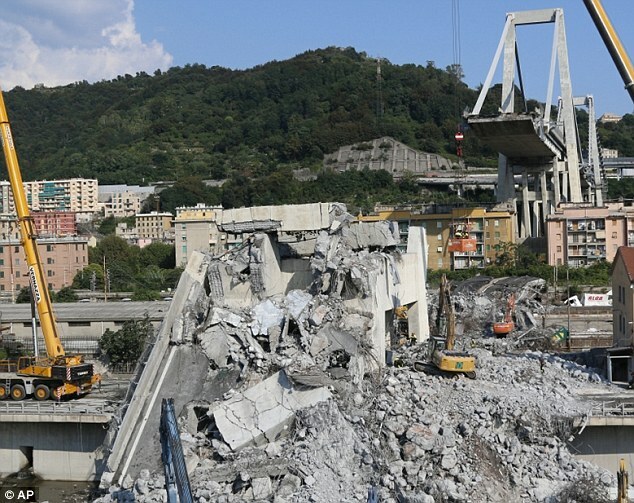 Authorities searching for bodies after the Genoa bridge collapse have called off the operation, saying all those missing have now been accounted for. 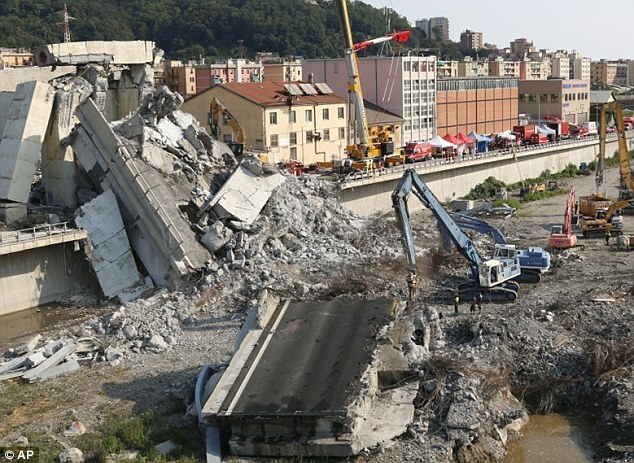 The death toll from Tuesday's disaster, when a 200-yard section of the Morandi bridge caved in, stands at 43. Nine people remain in hospital, four of whom are in a critical condition. 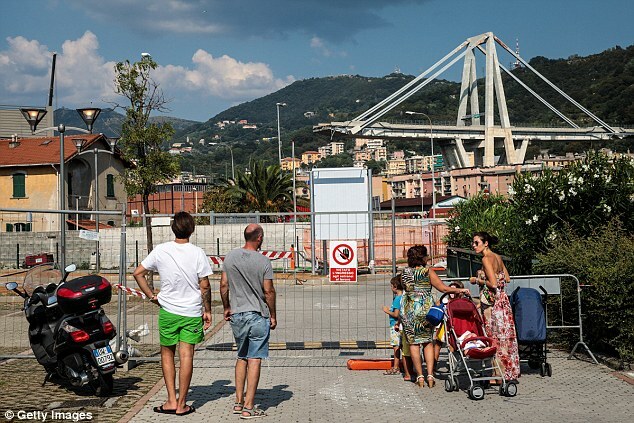 A clean-up operation is now underway in Genoa, whilst the collapse has prompted other European countries to consider the safety of their own infrastructure. 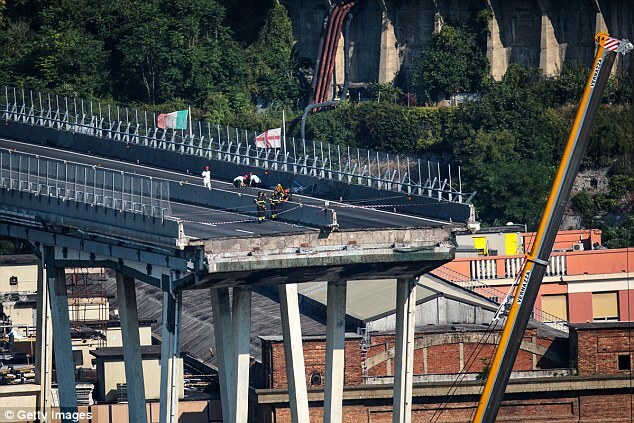 At the time of the collapse, there was heavy traffic on the bridge and about 30 cars plunged more than 165ft. 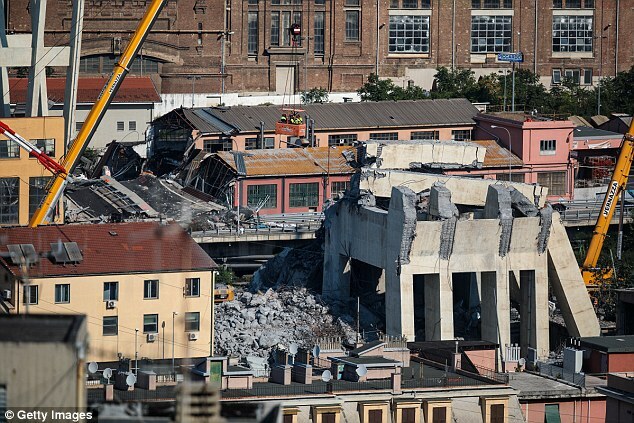 On Sunday, workers and firefighters were seen clearing the concrete and rubble in order to make the site secure. Others were searching for clues as to the cause of the disaster. 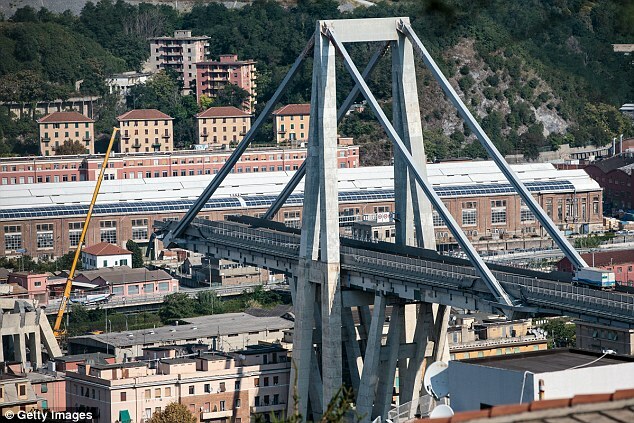 The Morandi bridge was a section of the A10 motorway linking Genoa in Italy with the French border. 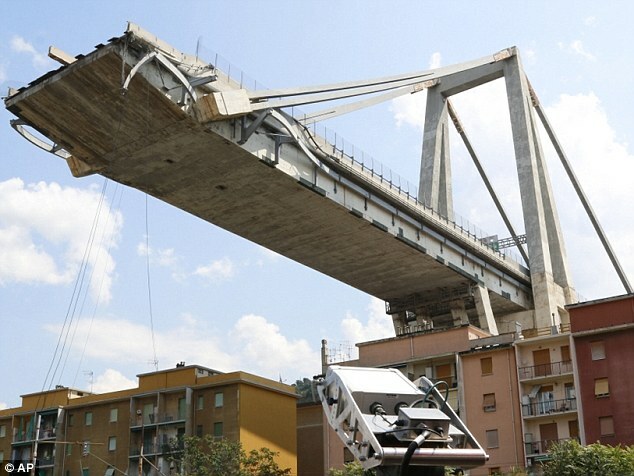 It was managed by Autostrade per l'Italia, part of the infrastructure group Atlantia. 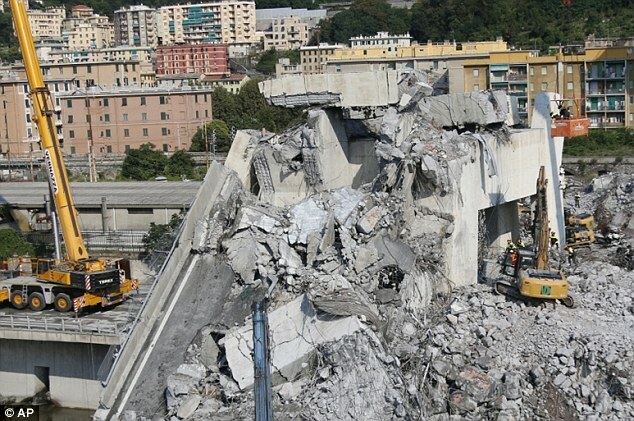 On Saturday, Autostrade promised to allocate funds of €500m (£449m) to rebuild the bridge and immediately aide the victims, their families and those in the area who have had to leave their homes. 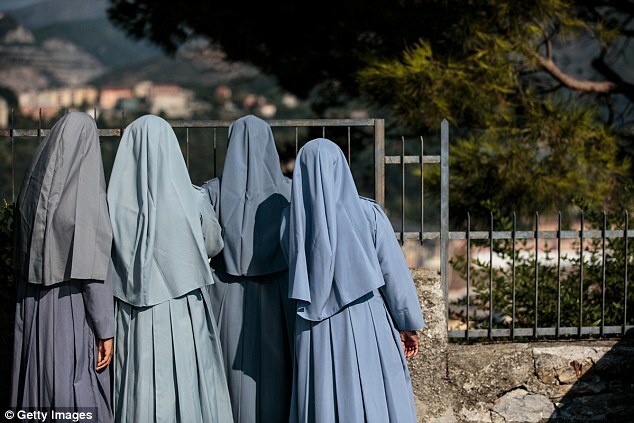 Meanwhile, an independent audit commissioned by the French government found that 840 bridges in France have serious damages and are at risk of collapse. The audit, published by the Journal du Dimanche newspaper, states that there are 12,000 government-maintained bridges in France, and of these about one third need repairs and 7% - or about 840 bridges - present a 'risk of collapse' in the future. It does not factor in thousands of French bridges under operation by private companies. Highways England, a government-owned company responsible for operating, maintaining, improving England's motorways and major A roads, as well as several bridges, also released a statement. 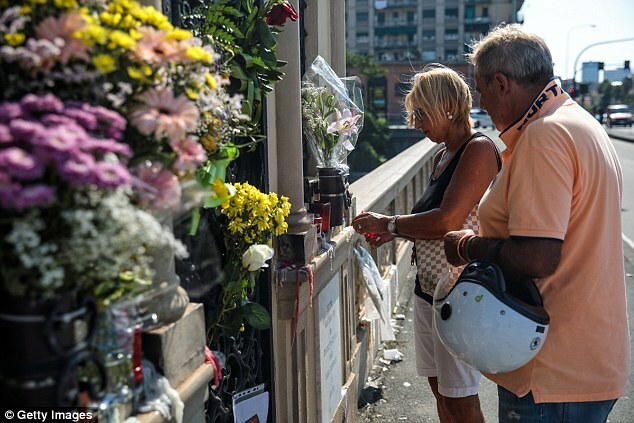 Its chief highways engineer Mike Wilson said: 'Our deepest sympathies are with everyone involved in the tragic bridge collapse in Genoa, Italy. 'We can reassure drivers that safety is and always will be our top priority. 'We have detailed design standards and quality control processes to ensure bridges are designed and constructed to provide safe and comfortable journeys for road users. 'This is supported by a thorough and regular regime for inspecting all structures, including bridges, on England's motorways and major A roads and taking any necessary action to help ensure they stay safe. 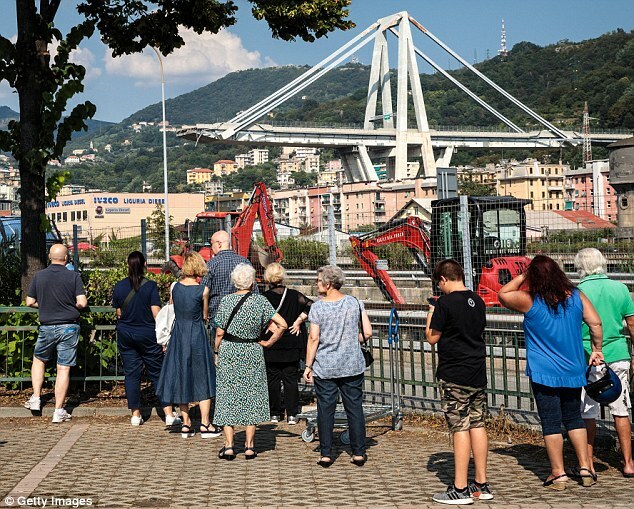 'A very small proportion of our structures are suspension or cable stayed bridges but none of them are of similar construction to the one in Genoa. There are also fears for the safety of a 'twin' structure in Venezuela which suffered a fire just days before the Genoa disaster. The five-mile-long General Rafael Urdaneta Bridge links the country's second city Maracaibo with the rest of Venezuela and was also designed by Riccardo Morandi. 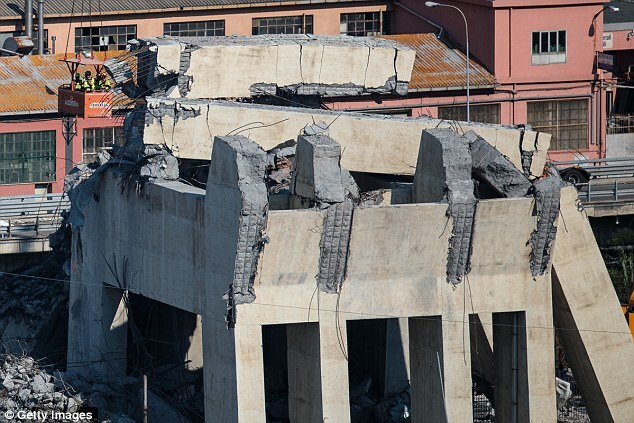 Venezuelans have long been concerned about the country's crumbling infrastructure, and experts from the University of Zulia, as well as engineering and construction specialists, are preparing a report on the condition of the bridge.